Please take a moment to read the stories of caring people who have chosen to make the Cleveland Animal Protective League part of their estate plans. My volunteer involvement with the Cleveland APL has been varied. 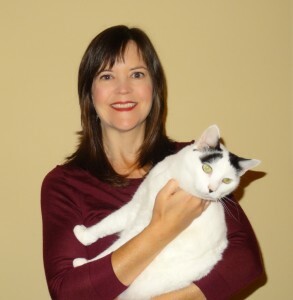 Over the last eight years, I’ve headed up a “Fur Ball” committee, become a Cat Care Volunteer with a weekly shift in Cat Adopt, and participated in numerous off-site events, One benefit to the variety of work I’ve done is learning a lot about the APL–its vision and the programs and services offered. The more I learned and the more involved I became, it was clear to me that this organization is extraordinary it its efforts to help the homeless animals of Northeast Ohio and it deserved any and all support I could give–both through my volunteer hours and financial contributions.